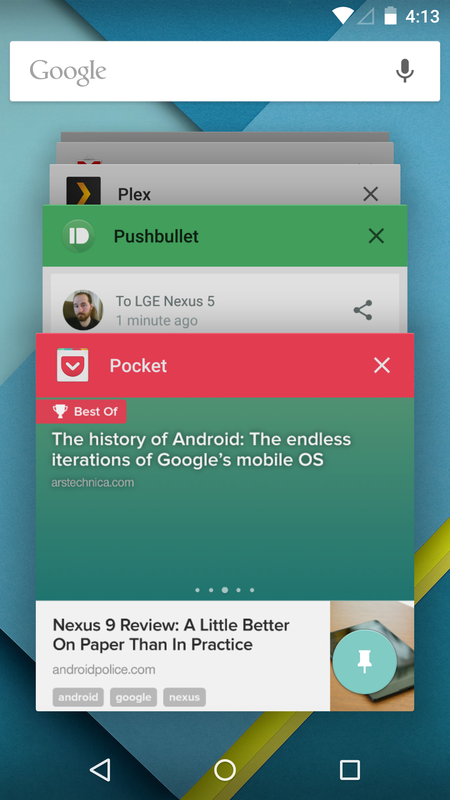 This isn't a complete rethink of the way Pocket looks, but it's definitely ready for Android 5.0. 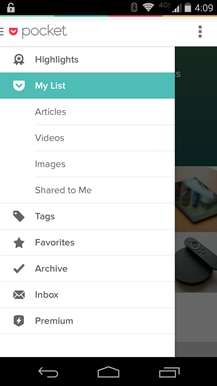 The navigation menu has been revamped to look correct in 5.0, and the icons are updated as well. 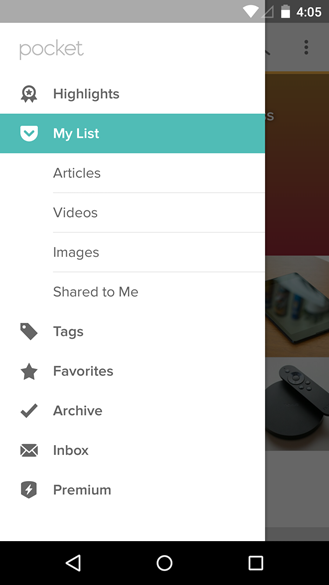 Throughout the app you'll see those distinctive material animations too. The status bar is flat gray in Pocket, rather than black, but you get a nice red hero color in the multitasking menu. 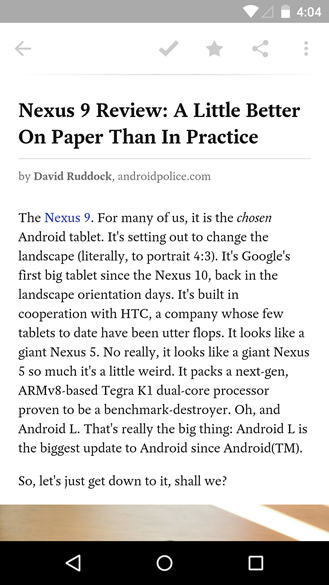 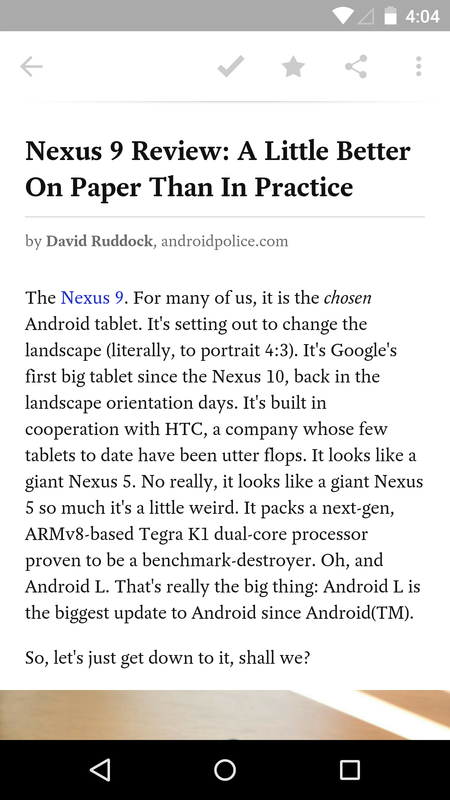 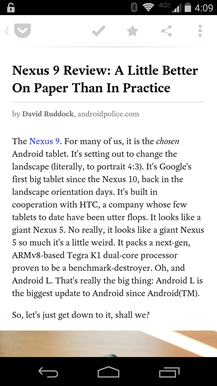 Pocket's updated look goes to show you that not everything designed for Android 5.0 has to look like Google's apps. 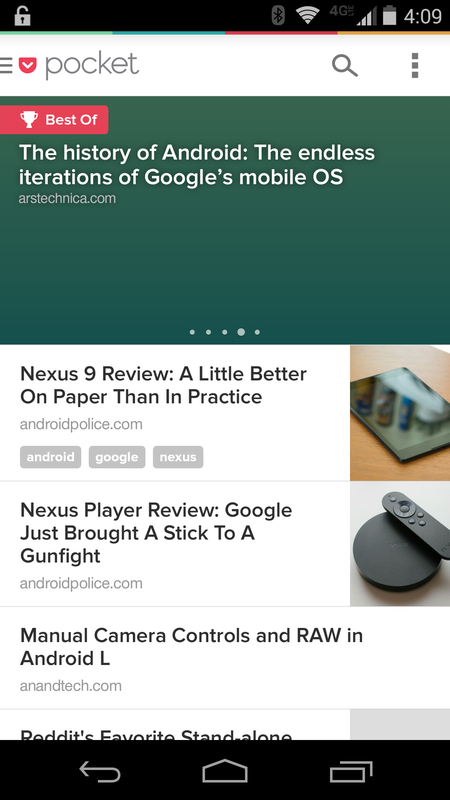 The new version fits in with the aesthetic but keeps a distinctive feel. 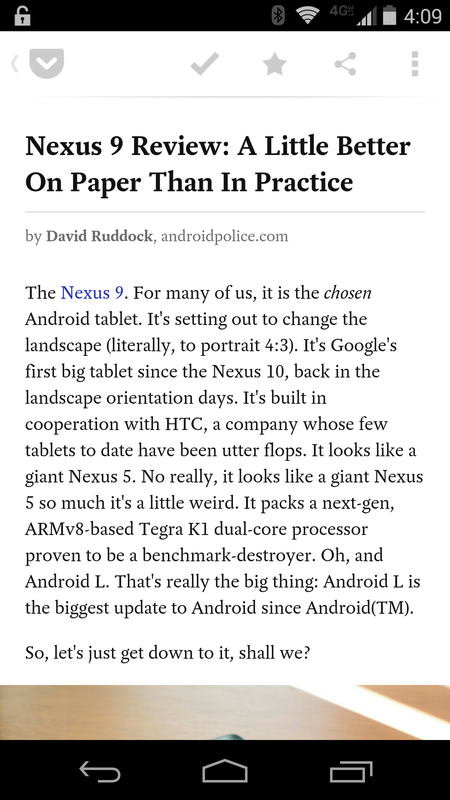 If you want to grab the new build while it's still rolling out, we've got it mirrored below. 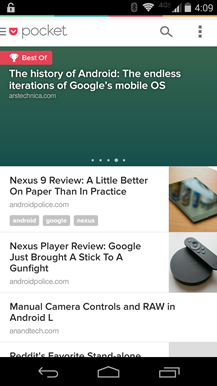 There are also some screens of the old version at the bottom for comparison. 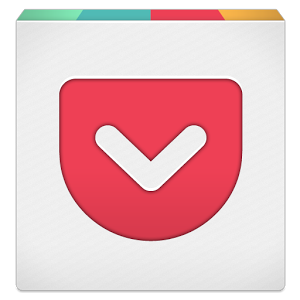 Version: 5.7 (570) (Android 4.0+).